Not trying to be a Humbug, but, the SW bands are getting pretty sparse with hardly any overseas English broadcasts to the USA, and local US stations tend to be religious or used to broadcast Overseas station relays that don’t broadcast to the USA anymore. Last night I scanned the complete SW sprectrum and was very disappointed. It seems our hobby is dying a slow painful death with not many bright spots on the horizon. I’ve just about given up on logging as all I get is the same few stations monthly let alone weekly. Don’t get me wrong, I love the hobby and have invested in equipment in the past. There just doesn’t seem to be much enthusiasm from US DXers or SWLers anymore towards the hobby. Oh well, Merry Christmas and Happy New Year! 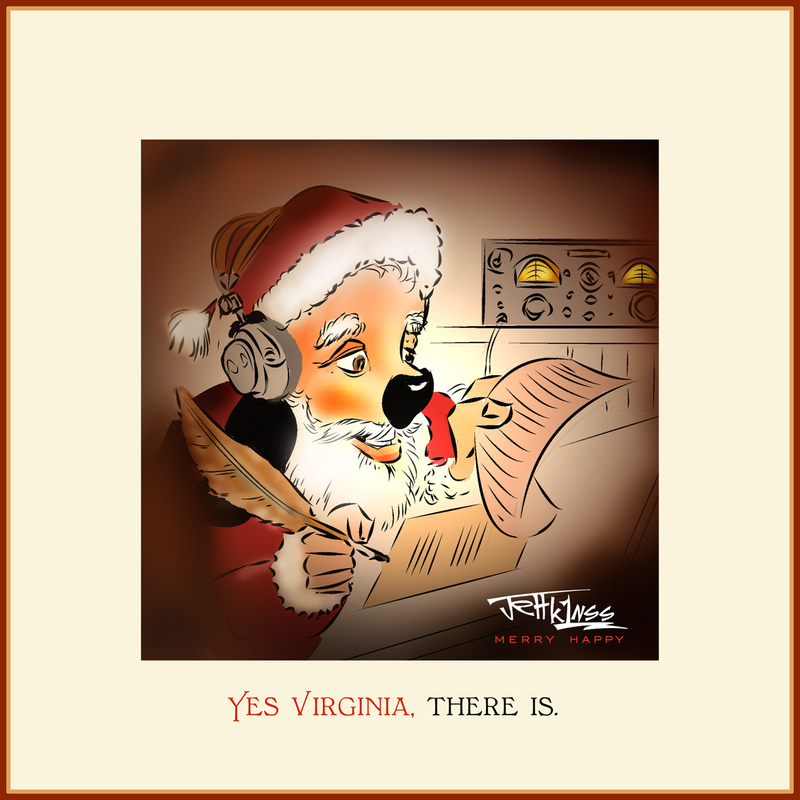 Virginia, Dear, as I wrap gifts and listen to DXers Unlimited from RHC, I can assure you that still. . .even today. . .there IS a shortwave! 73s, Virginia! Thank you for inspiring us for another year, Good Fellows. Another year in which shortwave will live well no matter how low the SFI may fall. Virginia, just get a better antenna up, dear.